It’s not often one finds a novella rich and complete enough to set the scene for further stories. Often one finds that a shorter story either spends so much time developing the setting and introducing characters that the romance angle is weak and more of an unbelievable insta-love trope than anything else. So imagine my delight in reading author Brandon Witt’s latest offering Nachos & Hash and experiencing not only a cleverly written introduction to a myriad of sharp and witty people, but also stepping into a sensitive and tender love story that was paced just right and left me fully satisfied. When Darwin realizes the beefcake blind date sitting next to him is definitely not going to be Mr. Right, he begins to plan his escape from another failed attempt to move beyond the dismal dating scene he seems to be trapped in of late. The night is not a total failure however when a gorgeously shy waiter comes to the table and Darwin takes a chance on asking him to meet up after his shift is done. Cody has escaped a bit of hell when he manages to leave his small town roots and his drunken father and narrow-minded mother. He has never known anything other than quick and dirty hookups where he is left feeling empty and used, knowing only that he will never amount to much of anything for that has been drilled into him from birth. When Darwin shows him what a real relationship can be, Cody feels sure that he will never be able to live up to what Darwin deserves. Darwin, on the other hand, is fairly certain he is falling hard for Cody and is determined not to let him go. One fateful conversation coupled with an email from home leaves Cody in a tailspin and deciding that the dream life and job he thought was so close at hand was nothing more than an illusion. So much happens in this little gem of a story. I am always bowled over by the way this author manages to unpack so many emotions, which make his characters fully fleshed out and incredibly real in such short order. 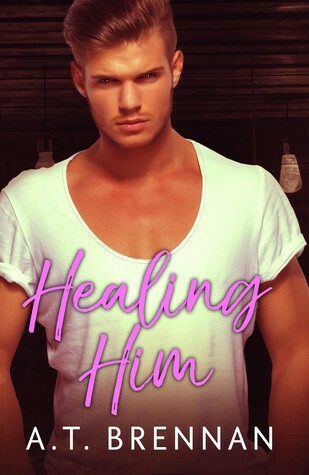 The demons that chase Cody are felt so deeply by him—his turmoil, his insecurities, his despair is right there—exposed in Brandon Witt’s intense prose that leaps from the page to wrap around your heart. Darwin tries again and again to show Cody that he is enough—that all he wants for him is happiness and yet even that gets turned round the wrong way and leaves Cody barely hanging on—so certain Darwin expects so much more from him and needs him to be something that he never can be. I can’t go on without revealing some major plot points, but suffice it to say there were moments where I laughed out loud in reading this novella and times where I needed more tissues to wipe away the tears. In Nachos & Hash author Brandon Witt takes us on a journey of love and self-acceptance. He gives us a story that speaks to the heart of those who have felt cast aside and who are desperate for a family who will love them just as they are. He gives us a novel of hope, full of laughter, and teeming with quirky, loyal characters and the place they all gather—Mary’s Hamburgers. 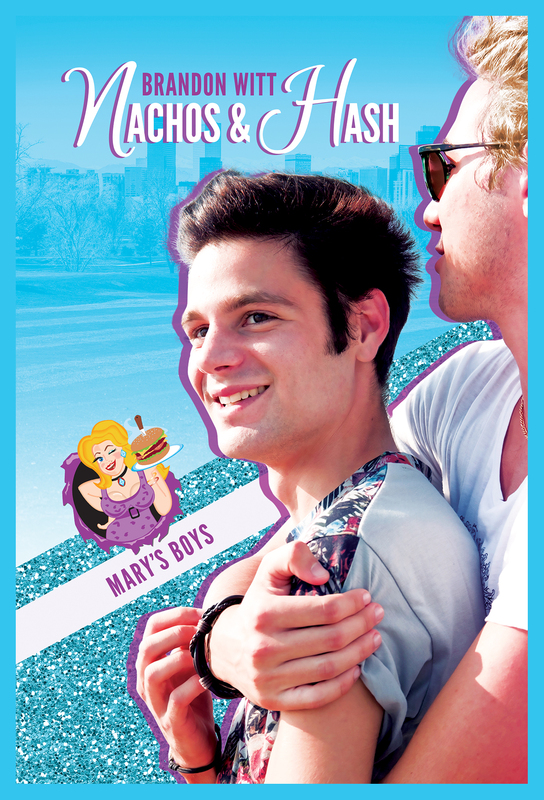 I cannot wait to read more about Mary’s Boys!